Friday night, 2/22 the Acoustic Basement Tour came to the Wonder Bar in Asbury Park. 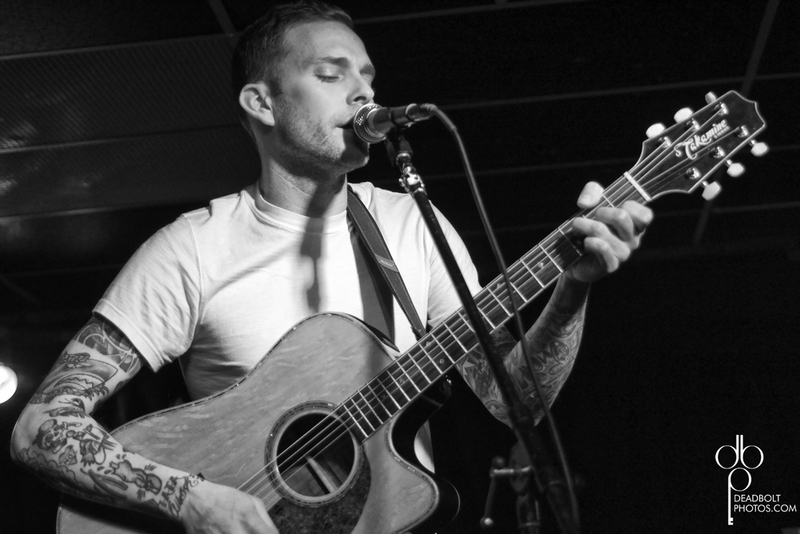 The tour featured Vinnie Caruana of The Movielife/ I Am The Avalanche, A Loss For Words, Koji, Brian Marquis of Therefor I Am and my dude, Geoff Rickly of Thursday. Geoff and I have gotten to know each other a bit over the last 6 months, so when he told me he would be in the area I knew I had to go down and check out the show. I was not prepared for how great everyone really was. Brian Marquis opened the show. I found out throughout the night that he was actually the one who made the whole thing possible. He organized the acoustic basement tour for Warped Tour 2012, and he decided to do another run throughout the winter. With the exception of Geoff, I had never heard any of the guys play before- I was impressed with each of them. Brian was no exception. His voice was absolutely stellar. It was great to see him play. Next up was Koji. It was really great seeing him play. Not only does he have great songs, you could clearly see how happy he was to be playing for everyone. Next up were A Loss For Words- well Matty and Marc from A Loss for Words. 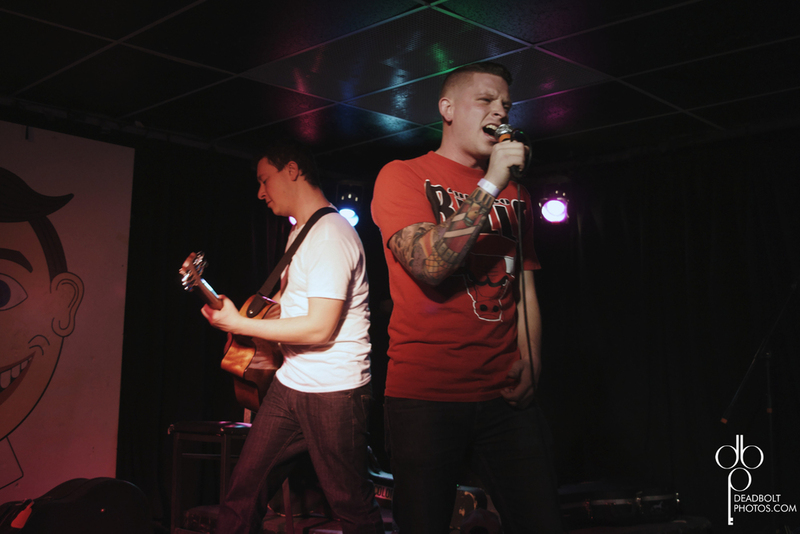 Pop punk is not easy to do acoustic, but these two managed to retain the energy throughout their whole set. Vinnie Caruana with "Koji" beer backstage. Obvious crowd favorite Vinnie Caruana was up next. Playing tracks from his incredible new solo record, and songs from his previous bands. Another guy I got to spend some time with who turned out to be a pretty great guy. Last up was Geoff Rickly. Geoff was one of those guys who came out of New Brunswick and carved his own path. I have spent the last 10 years at plenty of Thursday shows, and I even got to photograph their last one at Starland in 2011. Through Anthony GreenI have gotten the chance to get to know him, and like Anthony, he is another one of my heroes who has become my genuine friend. Such an all around super nice guy, I feel fortunate that I have been given the chance to get to know him. Beyond that, his performances are always fantastic. Friday night was no exception. He sounded fantastic playing Thursday songs, songs from his new solo ep, and a fantastic cover of "Atlantic City" by Bruce, and "Climax" by Usher. It was a killer night for music fans. In between sets and songs, all the guys spent a lot of time hanging out with the fans- signing records, posters, trading hugs. I was able to spend some time backstage with all of them, and it was easy to see how much they all really liked each other and liked playing together. The Acoustic Basement Tour will be on Warped again this year- in some form, and I will absolutely be there checking it out.